With UFC light heavyweight king Jon Jones hoarding most of the mixed martial arts headlines, it’s easy to overlook the fact “Titan Fighting Championship 24” took place Saturday night inside Memorial Hall in Kansas City, Kansas. 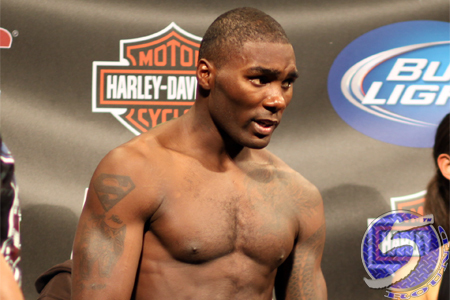 Former UFC star Anthony Johnson (Pictured) headlined the show by making his light heavyweight debut. “Rumble” easily disposed of Esteves Jones in the 2ndRound of their shootout. Braulio Estima, Johnson’s Blackzilian teammate, put Chris Holland to sleep with an arm triangle in the opening frame of the night’s co-featured attraction.